Raise your hand if you have always wanted to travel to Paris. Wow……..that’s alot more hands than I thought would be interested. Paris was never a place I wanted to visit. Actually the only place I wanted to visit in France was about 30 miles to the East of Paris…….Disneyland. So when Carly and I saw that our flight to Ireland (coming in a later post) had a layover in Paris, we decided to layover for 5 days. At first we were just going to stay a few days and see Disneyland, but then we just thought, “why not?” and stayed a full 5 days to see the City of Light and Disneyland Paris. Planning was a beast. I had already treated myself to a reading of the Rick Steve’s Ireland book so I thought why not get another for just Paris. Lucky for us, Rick Steve’s actually has a book called Pocket Paris that is a compact paperback that is sold for around $15. The book came with maps, directions, and helpful hints for making your way around Paris with ease. The book was an easy read and I also downloaded about 20 podcast episodes from the Rick Steve’s feed on iTunes. The podcasts are all free and are incredibly detailed and enjoyable. With all that in hand we began to prepare for our days on our own. The biggest fear going into the trip truly was the unknown. I knew that once we traveled to Ireland we would have my family there with us along with a tour guide, so I wasn’t too concerned. 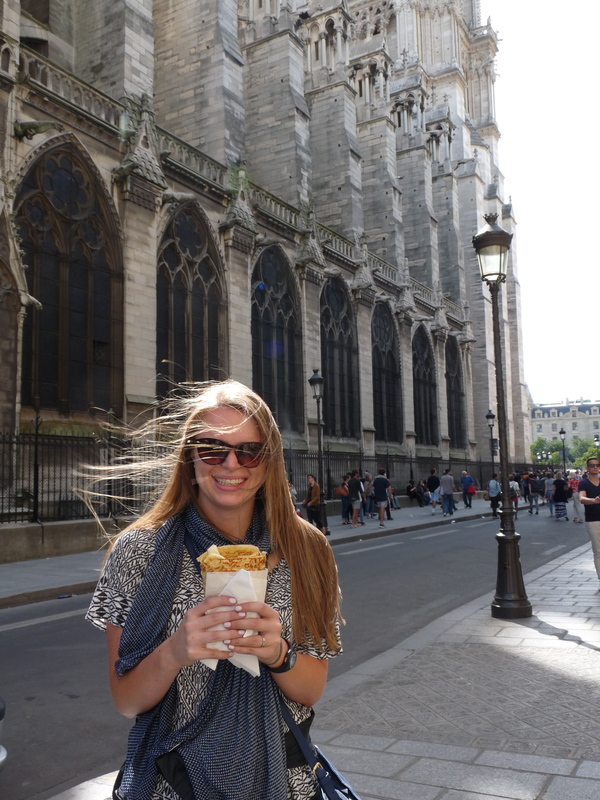 In Paris Carly and I were on our own in figuring out logistics, food, hotel, and attractions. Carly went to work on finding us a place to stay. 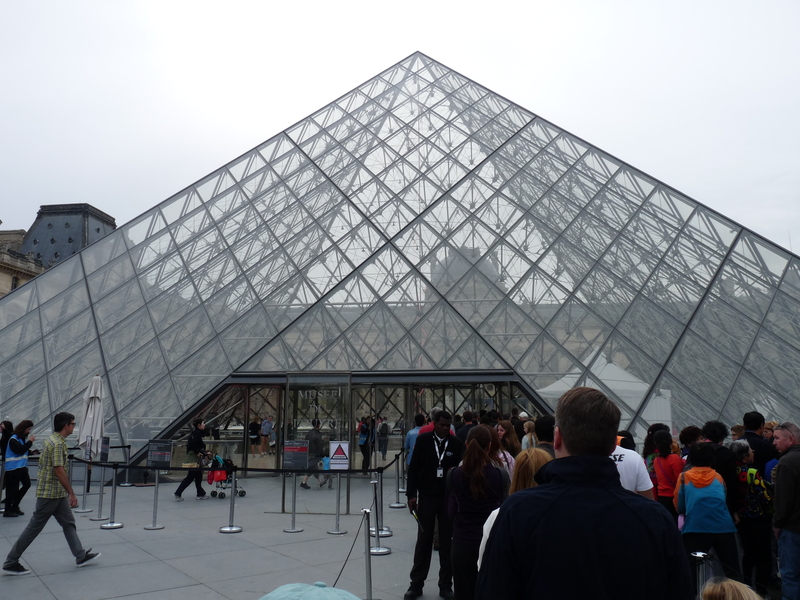 I studied up on the layout of Paris and what were the must see attractions for just a few days. One thing I kept noticing was just how much I read the word pickpocket. This freaked me out majorly. I obsessed over securing my belongings the entire time we were in Paris. 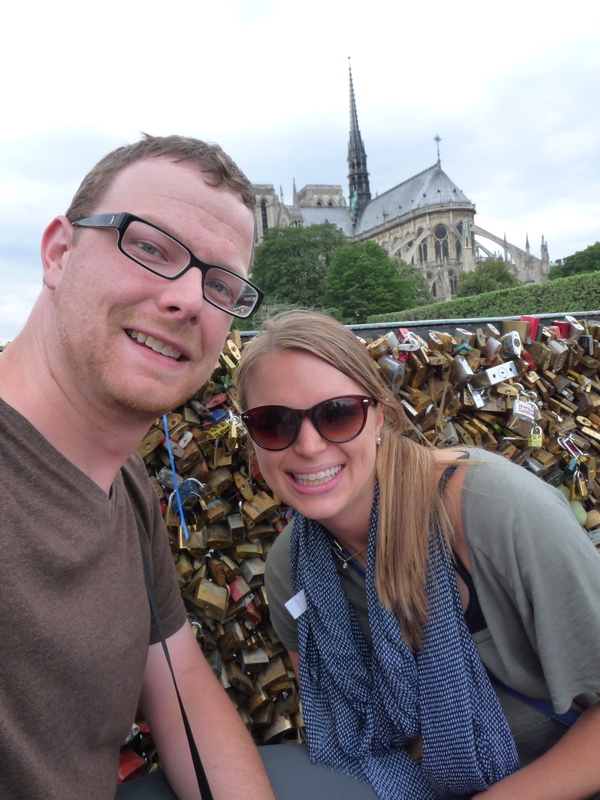 I brought a money belt and sweated buckets around my waist everyday to keep our cash, passports, and debit card hidden in my pants the entire time we were in Paris. The money belt I bought at a local outfitter store for about $20, but the peace of mind was so worth it. Carly found an incredible place to stay through AirBnB.com. The cost was $130 a night, but that was half the price of a hotel near our location. We had an address, pictures, and a contact person Mathilda. So we were ready with our hotel booked, our money belt stuffed, and our guidebooks in our hand. We flew out on a Friday evening. The flight was with Air France. It was a good 8 hour flight and it was through the night so it was not so bad. The bad part was, I couldn’t sleep a wink. The food was fine and the movies were fun, but no sleep. We landed around 11 AM the first day and it took us another hour to get our luggage, exchange money for Euros, buy a train ticket to downtown, and find the right train. Before we left the states Carly and I both downloaded free apps on our phones for Paris. One was just a metro map and the other was an actual map of Paris that did not need internet access to view. We arrived at a metro station that was way too busy for me to be lugging around a huge suitcase in. After walking in circles for a bit we finally just walked up to the street and realized we had no idea how to find our hostess from AirBnB. We had no internet connection to email her, so we walked into a cafe, bought a coffee, and got their wifi password. Carly sent a message and there was no reply. We waited another few minutes and then all of a sudden a woman walked straight up to us said, “Bonjour! Welcome to Paris!” and Carly and I yelled out of pure terror. Of course is was just Mathilda our hostess, but she sure scared the crap out of us. We received the Paris greeted of a kiss on each cheek and followed her to a building only about 3 minutes walking distance away. We were not lost. Our apartment was on the 7th floor of an old building with an elevator only big enough for our luggage. Our apartment had once been maids quarters on the top floor. It was a beautiful two room apartment with a bathroom in the middle. 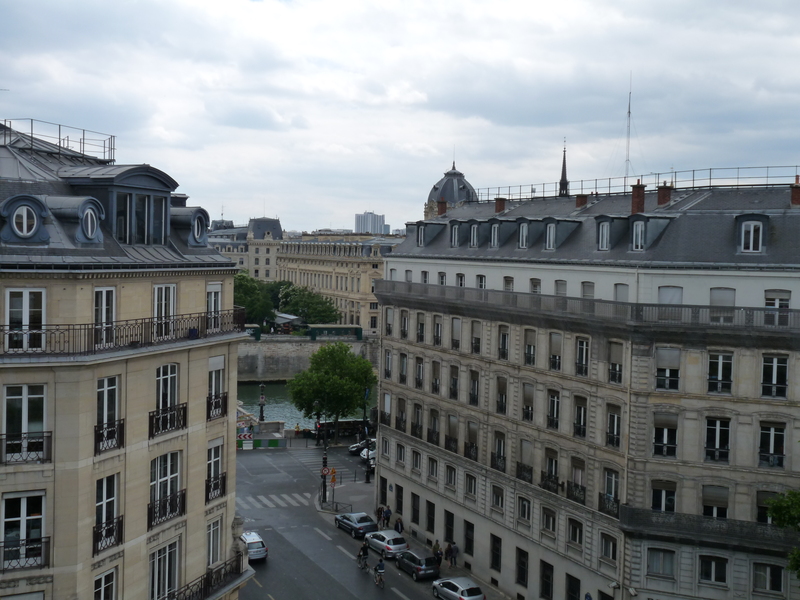 The bedroom had two skylights and the living room had a window that looked over the city and you could even see the spire of Notre Dame cathedral from our window. It was perfect. Mathilda spent the next hour telling us all about Paris and sights and food and customs and everything else that we could have never read in a book. She was incredibly friendly and even left her cat Rambo to stay with us for the two nights. Mathilda helped us book a French restaurant for the following evening of our trip that she really enjoys. We left the apartment a few minutes after she left to take on the city. Naturally the first thing we did was walk to Notre Dame since it was so close. Following the Historic Paris tour in Rick Steve’s book we visited Berthillon to get some ice cream, the holocaust memorial, the famous bridge with locks all over the sides of it, the river front booksellers, and then made our way across town stopping by the Lourve pyramid for a picture. We bought ten tickets for the metro subway system thinking that would be enough for our 2 full days in Paris. It was perfect. Our first metro trip without luggage found down the river a bit to a street known as Rue Cler. This street is closed to traffic and only pedistrians wander up and down buying fresh fruits, veggies, and other items. It was already close to 7 PM and the sun was still shining bright. Most museums close around 5 so it was no go seeing anything the first night. We picked a restaurant called Cafe Central and chose a seat outside. I chose to get the duck and Carly of course chose something completely unique: Steak Tar Tar or Raw Meat. Our waiter even asked Carly if she knew it was raw and she assured him that that was the meal she wanted. My duck was delicious and Carly ate almost half the steak tar tar. I tried a bite but it was not my favorite. There were so many people out sitting at tables in the street. The scene was amazing. And the most incredible part? Not a single person was on their cell phone. Everyone was engaged in conversation with the person across the table. Amazing people. We were only a few blocks from the Eiffel Tower so naturally that is where we walked. When we entered the park in front of the tower and moved from under the tree coverage we both lost our breath. 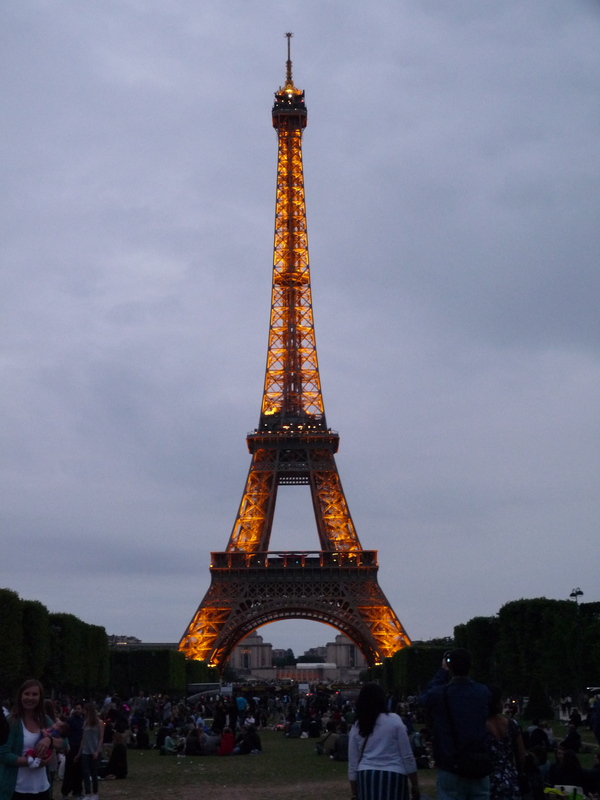 If you sit back and think, the Eiffel Tower is probably one of the most recognizable symbols in the world. Just look around you during your day and see if you can spot the tower. It is everywhere. We were it on our clothes, we place it in our marketing, and we even see it in movies and television. It is an icon. And it is spectacular in person. We spent the next hour walking up and down the park getting to the foot of the tower and then walking back. The lines to get to the top were incredibly long so we opted to just watch from the ground. At around 10:30 PM the sun was finally setting and the lights on the tower awoke. Everyone around us gasped and within a few minutes sparkling lights filled the criss cross iron from bottom to top. So many flashes of cameras went off and it was so amazing to be a spectator. I could see why so many want to come to Paris. It is enchanting. Carly and I walked hand in hand back to the metro and made it safely back to our apartment. We were officially on vacation. On the morning of our first full day in Paris we had some coffee (French press of course) by the window listening to the bells of Notre Dame. Unbelieveable. There are some moments you never forget. We were already having many on this trip. We had formulated a game plan too. Today we would hit Versailles and Notre Dame. That was the goal. But first, breakfast. We walked around the corner and found a croissant and an Orange Fanta. This became a staple. In Paris you always want to visit a Boulangerie for your bread. If the bakery has Boulangerie on the front it means they make the bread on location. Seriously a warm croissant or pastry cannot be beat for a nice walk in the morning. At the Lourve there is an underground mall where we purchased the Paris Museum Pass and took the train out of town to Versailles. Versailles used to be in the country but now it is of course surrounded by suburbs. Versailles was the palace lived in most notably by Louis XIV “the Sun King” and Marie Antoinette before she was beheaded. Versailles had an incredible line. It was unbelieveable. We waited in line a good hour and a half. Along the way we had a sandwich for lunch and we even spotted our friends from Mississippi, The Osborns, who were taking a big school group of my former students through Europe. We were planning to meet them later in the day but it was a surprise to just see them at Versailles. Small world indeed. Our tour was magnificent. We used the Rick Steve’s audioguide podcast for our tour and it was perfect. 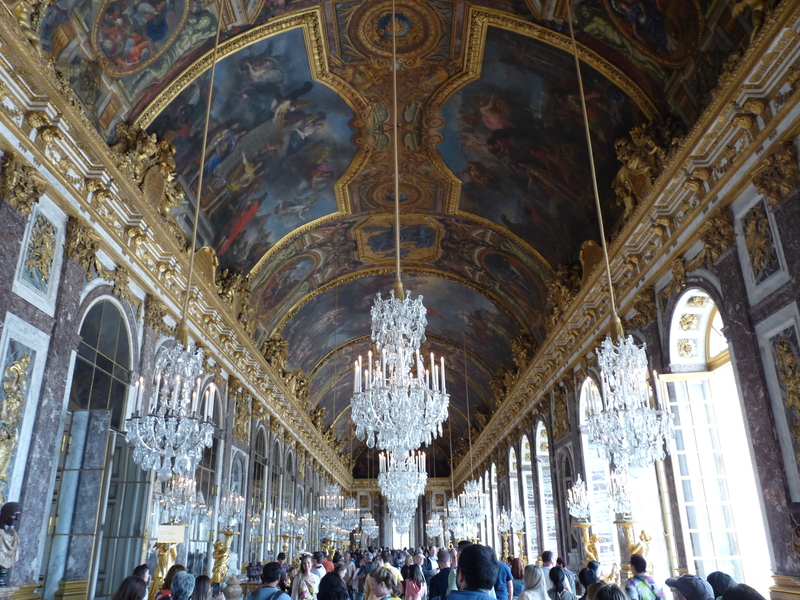 The highlight of the tour was of course the famous Hall of Mirrors. Incredible. It was a grand ballroom with mirrors and windows that overlooked the grounds. Breathtaking. The other rooms were interesting and the history behind the rooms was fascinating. But at the conclusion of our tour we left, grabbed some McDonald’s and got back on the train. I know its ridiculous that we ate some McDonald’s in France and we were chastised on social media about it, but eating those fries on the train felt a little like home. Back in Paris proper, we took a break at our apartment then walked the short distance to Notre Dame. Walking into Notre Dame was amazing. What made it better was the decision to listen to God Help the Outcasts while we walked through. Sitting in the center of the cathedral, we just took a breath and thought about how amazing it was that we were here in this place that people always talk about going. A place where for hundreds of years people have worshipped God. After all that thinking we needed a crepe. Nutella and Banana please. Delicious. 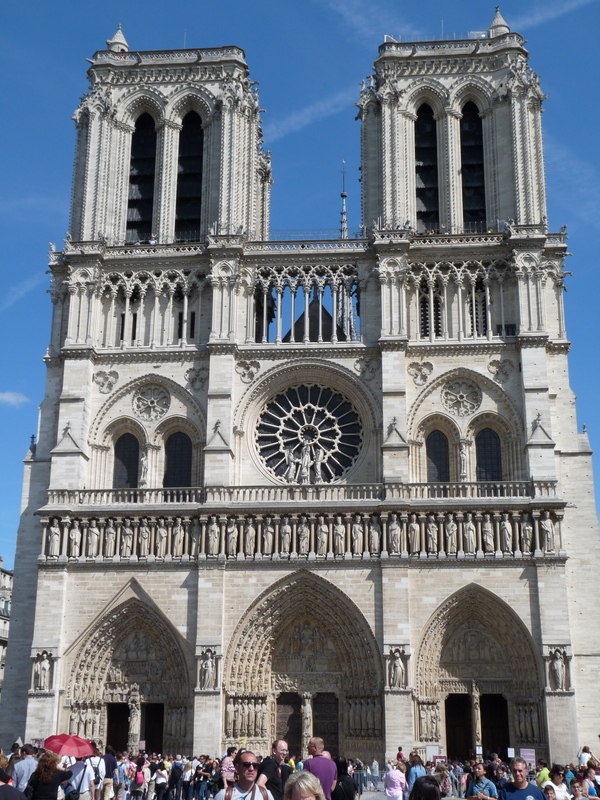 We met up with our friends again and walked the exterior of Notre Dame. We said we would meet up later. On our own again, Carly and I went back to our apartment, freshened up, and then headed to the restaurant our host reserved for us. It was a good hike up to the restaurant, but the food again could not be beat. We ate around 7:30 so naturally we were the only ones in the restaurant. The restaurant was so nice, but there was no English menu. Therefore we just sort of pointed to things and ate them when they came out. Turns out nothing we pointed to was bad. Then we ate two desserts. During our walk back to the apartment we passed by a few live bands that we stopped and listened to. It was like the city was alive and buzzing with energy. We got back to the apartment after nightfall, but we just had to get back out on the streest. 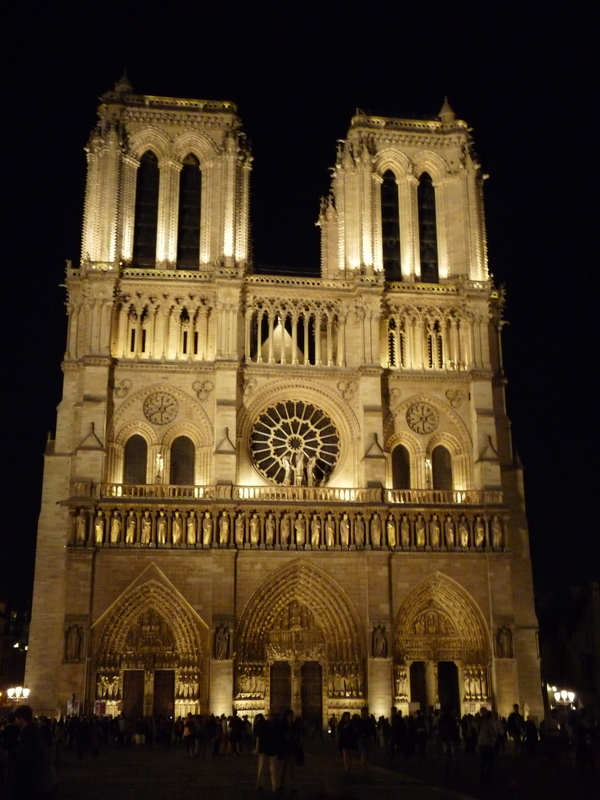 We went back to Notre Dame to see it at night and the best part was a live karaoke performance of “You’re the One that I Want” in broken English. We left the windows open while we slept to hear the city through the night. Early we woke for our last day in Paris. 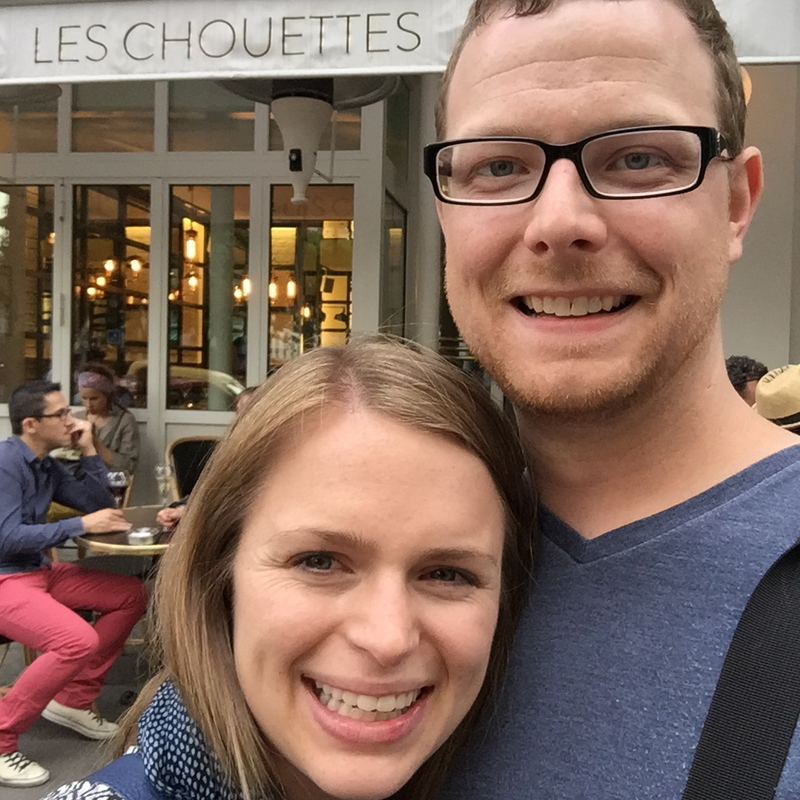 We headed back to the Boulougarie for another pastry on our way to the Lourve. The lines were crazy again even with us arriving about a half hour before opening. Once inside we looked towards our Rick Steve’s audioguide for our directions. The audioguide took us through the masssive building hitting the highlights. 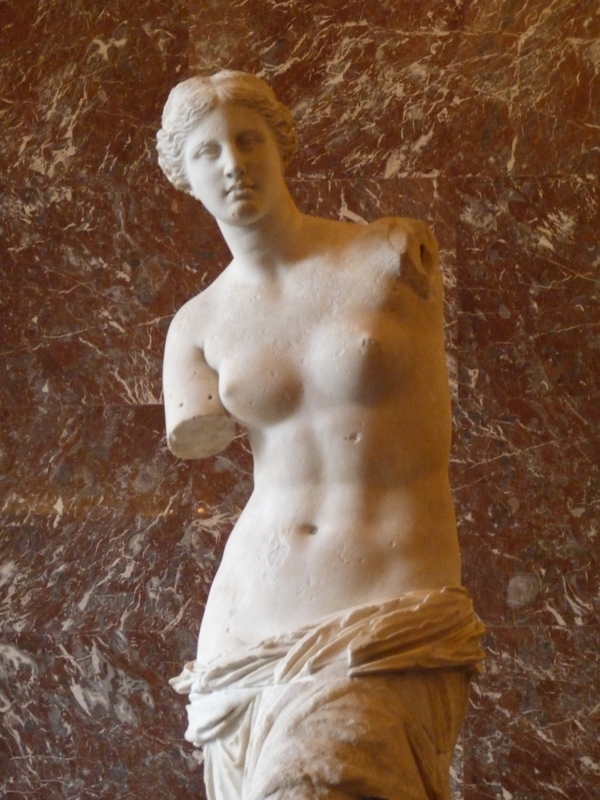 Venus de Milo, Winged Victory, original Da Vinci’s, scuulptures by Michelangelo, and the list went on and on. Of course we also stopped by the Mona Lisa, which essentially is a mass of people taking selfies and then walking away. I am glad to have Carly because she forced me to put down the camera and just look at the painting. It really was amazing. And small. Our tour of the highlights was over in an hour and a half and we were leaving while more and more people poured in. We then walked to Sainte-Chapelle Cathedral, known for its stained glss windows. Each massive window contained numerous smaller vingettes that showcased stories from the bible. It was a smaller attraction but one of our highlights. We next visited the Conciergerie, the building that housed Marie Antoinette before her beheading. It was eerie and intriguing. You can even visit the actual cell area that she stayed in that is set up as a memorial to her now. We needed something more upbeat so we hopped on a train and headed North. 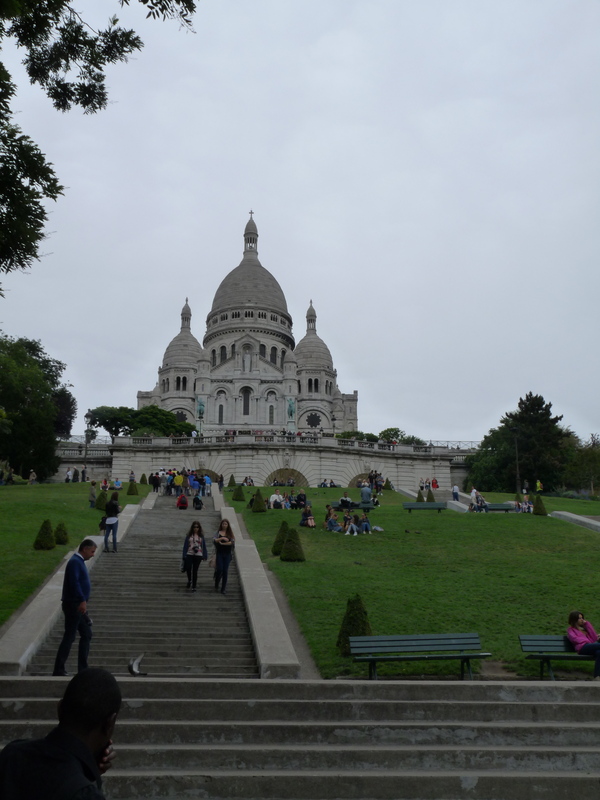 We rode to Monmartre, an are of Paris that is built on a hill. Sacre Coer is a cathedral built on top of this hill and has vast views of the city. Pickpockets were abound but we stayed safe and even saw our MS friends one last time in Paris. We took some shots of the city and headed back down the hill. We grabbed some lunch to go and jumped on the train back towards our apartment. 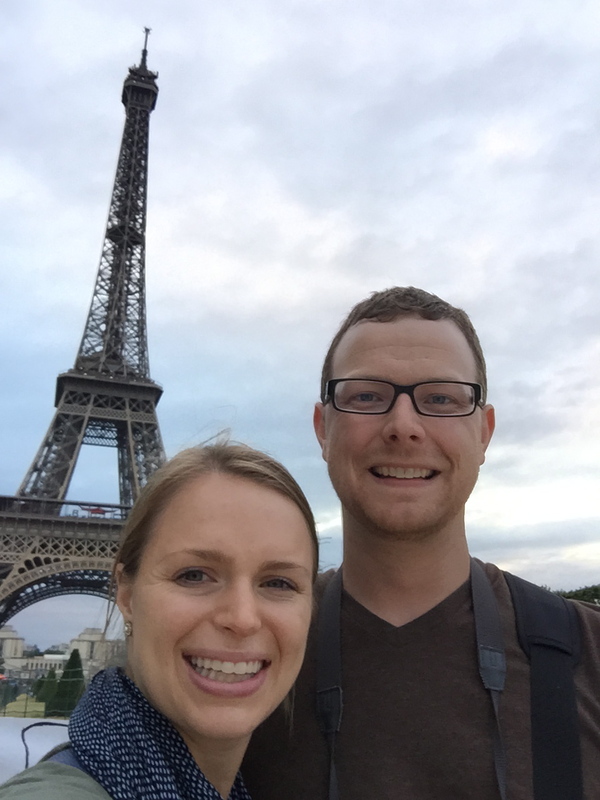 We decided to do one last hurrah in Paris. We took the Notre Dame tower tour. Climbing 400 stairs we made it to the top of the tower. 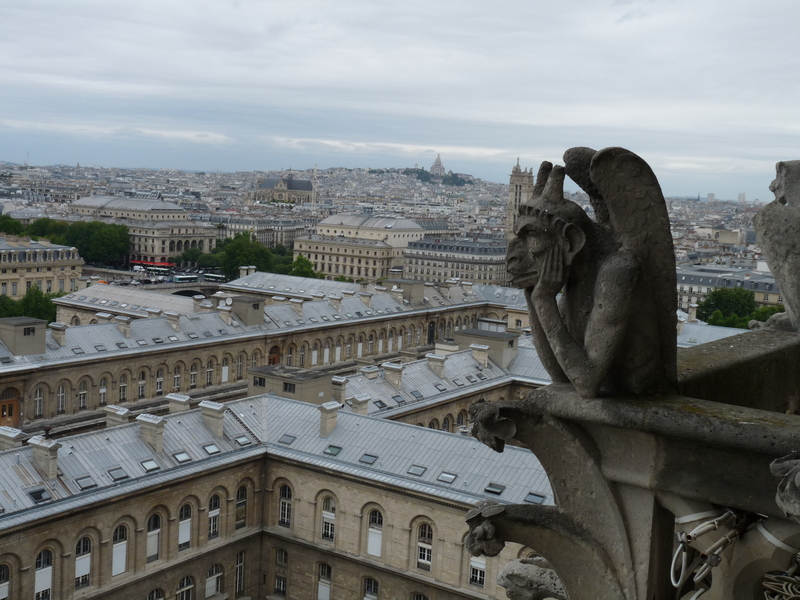 We got to see the bells and walk around with the gargoyles. We also listened to Out There and sang out like Quasimodo. The view I would argue was better than Sacre Coer and definitely a great end to our sightseeing. We packed our bags at the apartment and said goodbye to Rambo. He was a great cat and we greatly enjoyed our stay. The weather was turning bad and we had to walk fast through the rain to get to the metro and then the crowded RER train. It was one of the most stessful times of our entire trip. But it was all worth it because at the literal end of the line we were at our next destination: Disneyland Paris. But that story is for next time. Paris all in all was literally the most beautiful city I have visited. It was dirty on the street and gritty, but the details and the people were beautiful. By the end of our time there people would talk to me in French before they realize I only spoke English. I could order a croissant like the best of them. Also I was getting used to the currency and definitely felt more comfortible traveling the city. 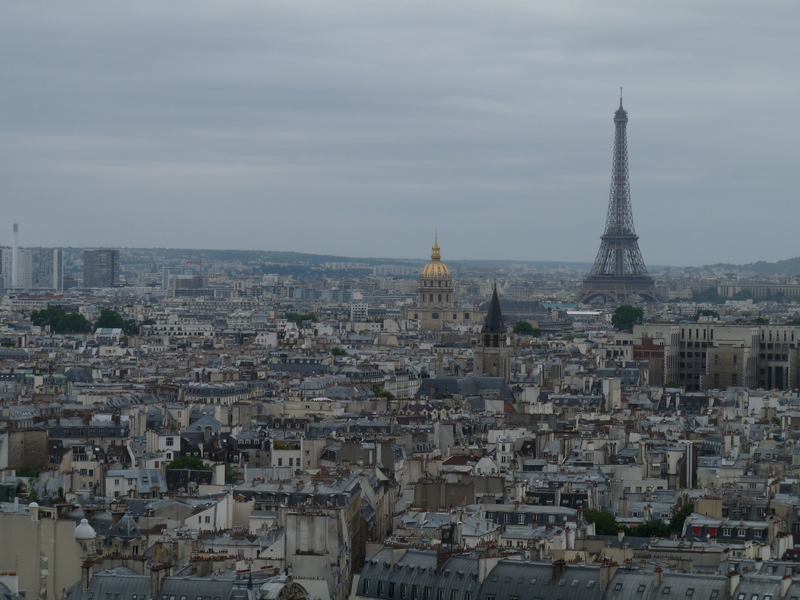 I know there was so much more to see in Paris, but what I have come to realize is how much of Paris I still see today. I really see an Eiffel Tower at least once a day or I love Paris shirts or coffee mugs. It’s amazing. But until next time Paris, Au Revoir.